The French game of tarot, also jeu de tarot, is a trick-taking card game for four players using the traditional 78-card tarot deck. 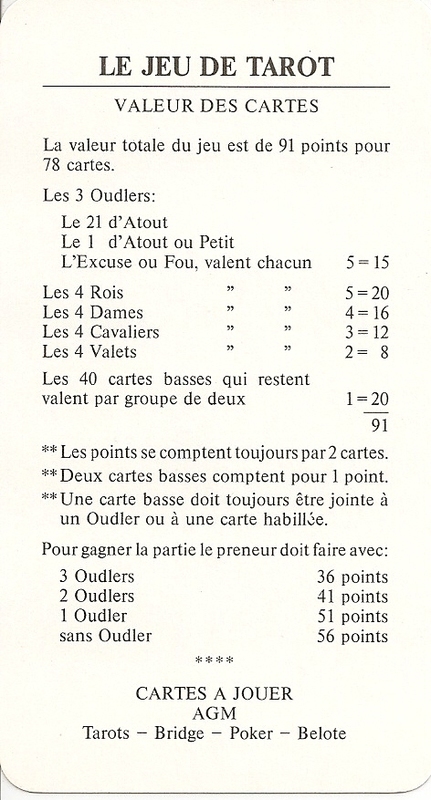 The game is enjoyed throughout France and also known in French-speaking Canada. French tarot is one of the older forms of tarot and has remained popular for centuries. 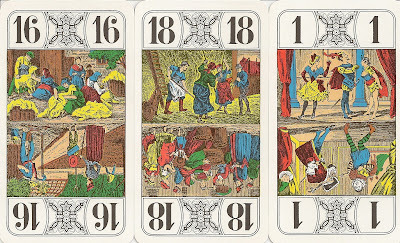 This Genre Tarock is an example of the standard Jeu de Tarot as played in France and has 78 cards: four French suits of hearts, diamonds, clubs and spades, each suit has a full complement of 4 picture and 10 numeral cards. 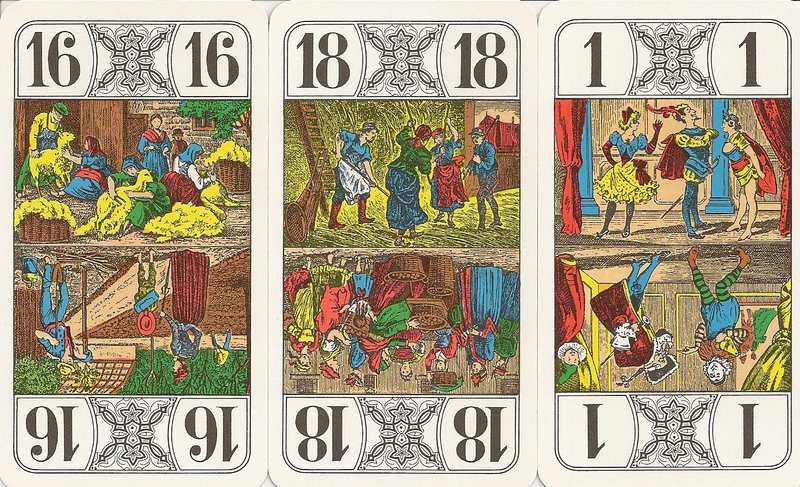 22 trumps: the Sküs (which looks a little like a joker) and 21 cards marked with large numbers from 21 down to 1.The trump cards depict double-ended folk scenes.